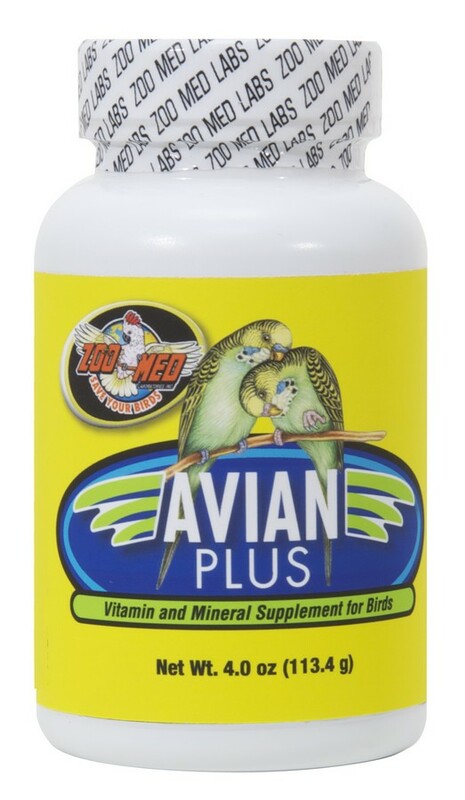 Avian Sampler Pack | Zoo Med Laboratories, Inc. 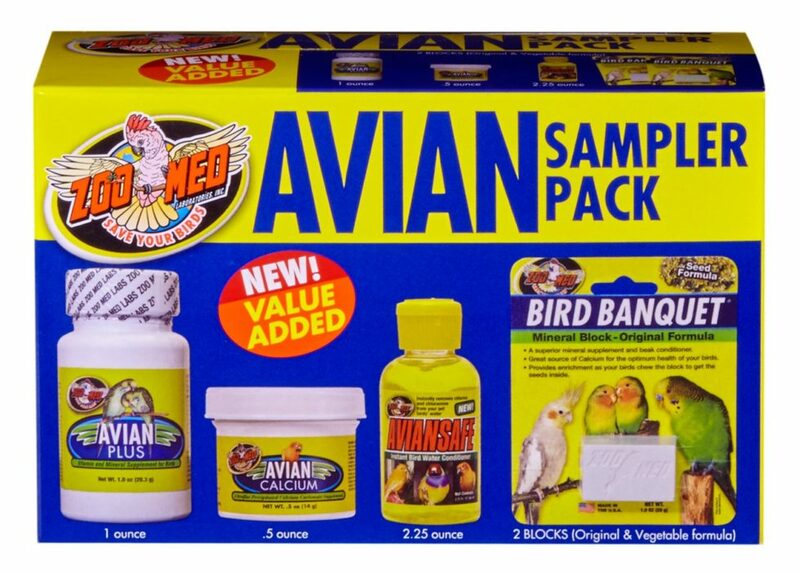 The ultimate Zoo Med sampler for your avian pet! 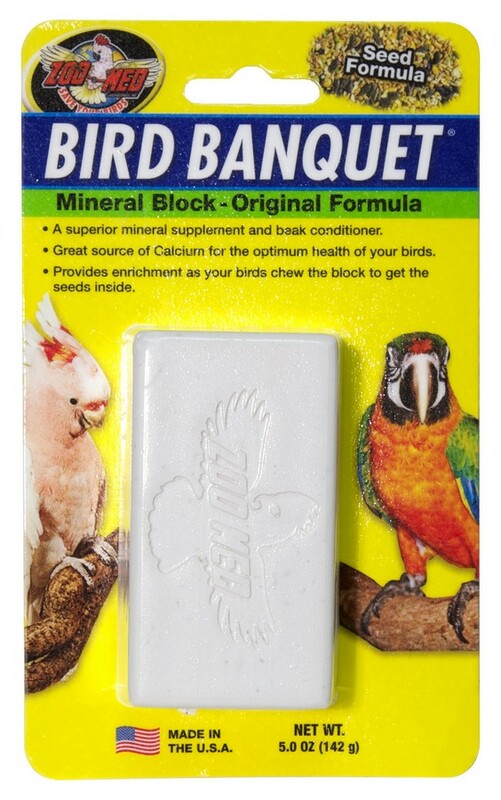 Dicalcium Phosphate, Precipitated Calcium Carbonate, Choline Bitartrate, Niacin, Inositol, L-Leucine, L-Arginine, L-Lysine, Ascorbic Acid, Ferrous Fumerate, Lecithin, Potassium Chloride, Salt, Para Amino Benzoic Acid, L-Valine, L-Isoleucine, L-Alanine, L-Threonine, L-Phenylalanine, L-Tyrosine, Thiamine Hydrochloride, Pyridoxine Hydrochloride, Riboflavin, L-Cystine, L-Histidine, L-Glycine, DL-Methionine, L-Serine, Aspartic Acid, Zinc Oxide, Manganese Sulfate, d-Calcium Pantothenate, Vitamin A Palmitate, Glutamic Acid, Beta Carotene Color, Magnesium Oxide, Dried Kelp, Menadione Sodium Bisulfite Complex (Source of Vitamin K Activity), Folic Acid, Copper Sulfate, Cholecalciferol (Source of Vitamin D3), DL-Alpha Tocopherol Acetate, Vitamin B12 Supplement, Cobalt Chloride, Biotin. 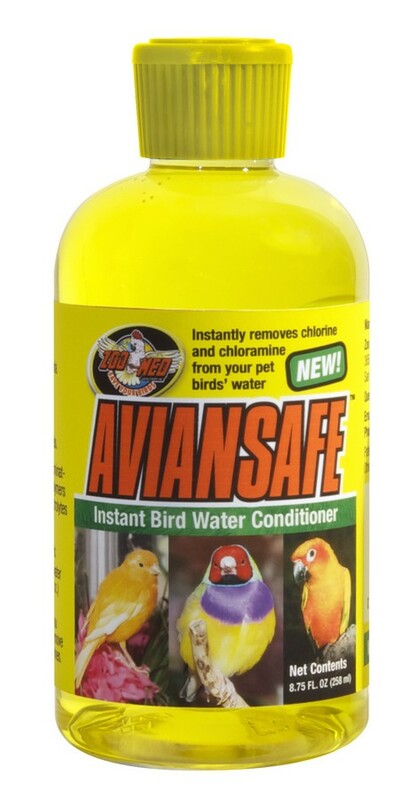 Water, Dechloraminating Agent, Synthetic Organic Polmers (Colloids), Chelating Agent, Electrolytes. 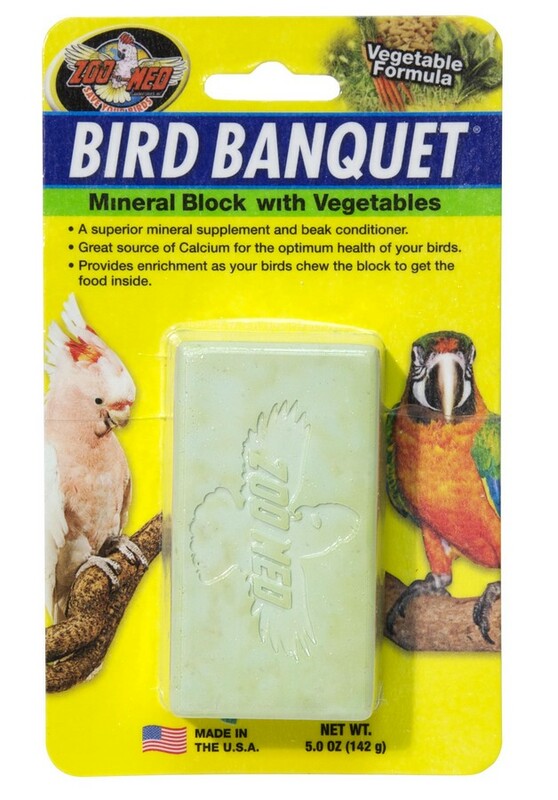 Calcium Sulfate, Dried Carrot, White Millet, Dried Spinach, Suncured Chopped Alfalfa, Ground Oyster Shell, Salt, Canary Grass Seed, Oat Groats, Silicon Dioxide, Ground Limestone, Dicalcium Phosphate, Niacin, L-Ascorbyl-2-Polyphosphate (source of vitamin C), Thiamine Hydrochloride, d-Calcium Pantothenate, Pyridoxine Hydrochloride, Biotin, Beta-carotene, Iron Oxide, Manganese Phosphate, Manganous Oxide, Copper Carbonate, Diiodosalicylic Acid, Zinc Carbonate, Propylene Glycol, Cobalt Carbonate, Artificial Tropical Fruit Flavor, Yellow 5, Blue 1.